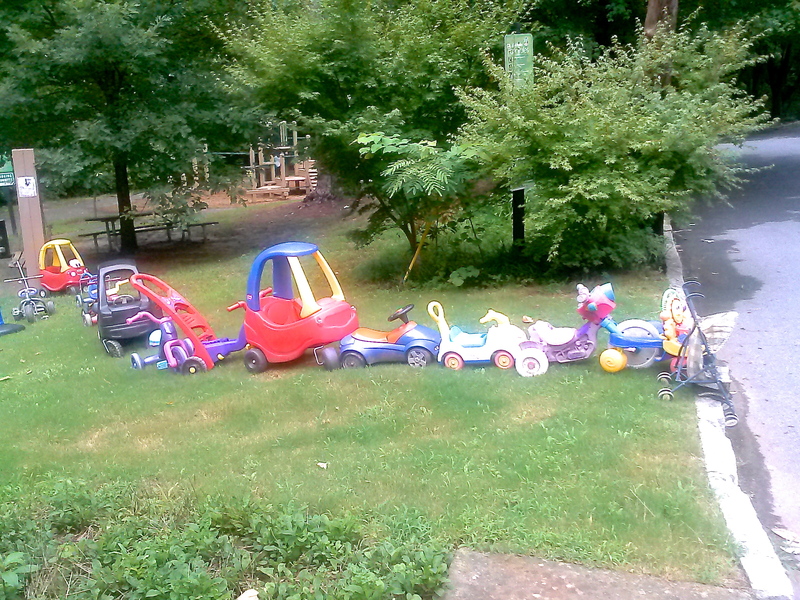 ATLANTA -Motorists beware! 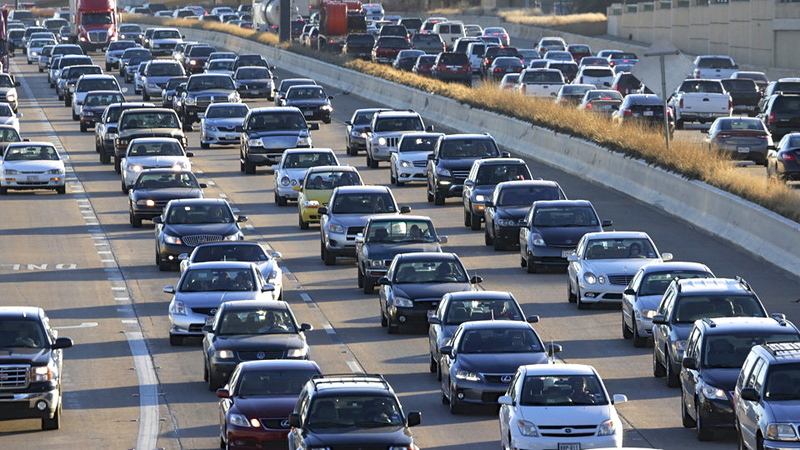 Georgia DOT is urging motorists to plan ahead this weekend before they venture on to I-20 on the east side, I-285 on the top end, and the Buford-Spring Connector (SR 13) and I-75/I-85 downtown. Lanes will be closed in all of those locations at various times this weekend, weather permitting. However, the contractors working on the downtown connector will open the lanes to allow a smoother entrance and exit from the Turner Field area for the Braves series with the Cincinnati Reds. 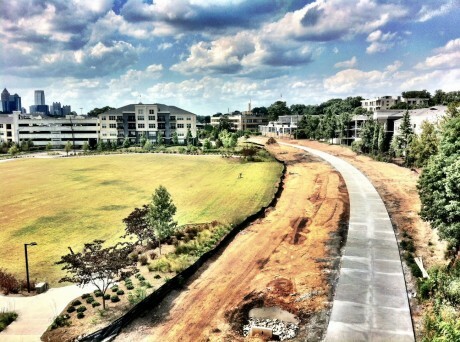 “We know the Braves are in town and we want to accommodate the fans as much as possible but we also need to get some work done on the Downtown Connector,” said GDOT Metro District Construction Engineer Shun Pringle. “So, the contractor has agreed to open all lanes about three hours before each game and not close them again until about three hour after each game ends. 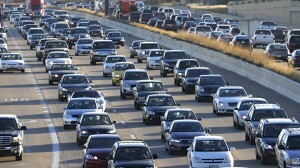 That should help alleviate some of the congestion,” he added. 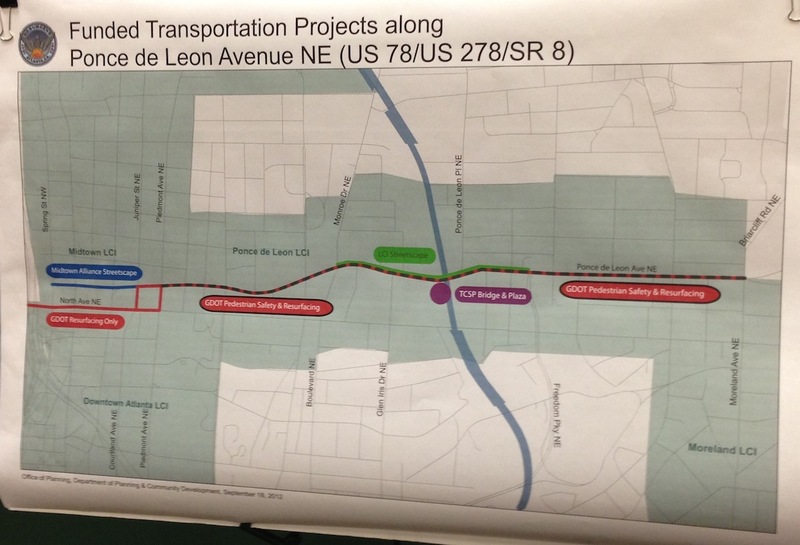 The Downtown Connector work Pringle is referring to is a bridge painting project that will require up to three right northbound lanes closed from MLK, Jr. Boulevard to Fulton Street except during the Braves traffic. On the Buford-Spring (SR 13) Connector, one left lane will be closed in both directions all weekend between Armour Drive and Lindbergh Drive for bridge joint work. 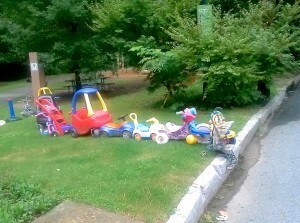 Heavy delays are expected and motorists are encouraged to seek alternate routes. Across the I-285 top end, up to three right westbound lanes will be closed all weekend for bridge work between Roswell Road and State Route 400 and various rolling lane closures will be occurring in both directions in several locations on I-285 on the north and west sides of Atlanta for striping. Additionally, two right eastbound lanes will be closed all weekend on I-20 from Wesley Chapel Road to Panola Road for bridge joint work. Motorists should also be aware that there will be times during the bridge work closures on I-285, SR 13 Connector, and on I-20 where it appears no work is being performed. After concrete is poured for the bridge work, it must be allowed to dry (or cure) for approximately 24 hours to ensure proper strength before opening the lanes to traffic. The Department often gets complaints from motorists saying there were lane closures in place and no one was working. I-285 EB, from MP 18 (Paces Ferry Road) to MP 19 (Ashford Dunwoody Rd), 1 or 2 lanes closed for striping using rolling closures beginning on the inside lane next to the barrier and working to the outside shoulder. GA 400 NB, from MP 0.5 (I-85) to MP 1 (Sidney Marcus Blvd), one right lane closed to construct bridge bents for new bridge. SR 13 NB/SB, from MP 2 (I-85) to MP 3 (Lenox Road), one outside lane closed with flagging operations to support construction activities if needed to move equipment. Deering Road EB, about MP 0 (Peachtree Street), DEERING ROAD CLOSED for construction on the Amtrak Station. I-85 NB/SB, form MP 0 to MP 0.25 (Lindbergh Drive), HOV Ramp closed on to construct bridge bent #11. Sidney Marcus Blvd EB/WB, from MP .5 to MP 1 (Sidney Marcus Blvd), road closed on Saturdays only for construction activities. Cheshire Bridge Road EB/WB, from MP 0 to MP 0.25 (Sheridan Road), Road Closed on Saturdays only for construction activities. SR 13 NB, from MP 0 to MP 0.25 (Lenox Road), road closed on Saturdays only for construction activities if needed. SR 236 WB, from MP 1 (Armand Drive) to MP 1.5 (Adina Drive), one lane flagging operation for equipment entering and exiting the roadway. GA 400 SB, from MP 1 (Sidney Marcus Blvd) to MP 0 (Lindbergh Drive), one left lane closed for overhead signage work. SR 400 NB, from MP 0 (Lindbergh Dr) to MP 1 (Sidney Marcus Blvd), either right or left lane closed for construction activities. SR 13 NB, from MP 2.5 (Lindbergh Drive) to MP 3 (Cheshire Bridge Dr), one right lane closed for (90 days) construction activities. GA 400 SB, about MP .5 (Sidney Marcus Blvd/I-85), one right shoulder closed for new bridge construction. I-285 SB, about MP 13 (Bolton Rd), two right lanes closed for concrete slab repair. GA 400 Off Ramp, about MP 0 (GA 400 to Sidney Marcus), one left ramp lane closed for wall construction. I-285 WB, from MP 27 (GA 400) to MP 25.5 (Roswell Rd), three right lanes closed for bridge joint work. I-75/I-85 NB, about MP 248 (MLK Jr Dr), either three right or three left lanes closed for bridge painting operations. I-20 EB, from MP 69 (Wesley Chapel Road) to MP 71 (Panola Road), two right lanes closed for bridge joint construction. I-285 SB, about MP 45 (ramp from I-285 SB to I-20 WB), one right ramp lane closed for grading operations for gravity wall. I-285 WB, from MP 29 (Ashford Dunwoody Rd) to MP 18 (Paces Ferry Rd), one lane closed at any given time with a rolling closure for striping operations beginning on the inside lane next to the barrier and working to the outside shoulder. SR 13 Buford Hwy Connector SB, one inside (left) lane closure at Clear Creek Bridge between Lindbergh Drive and Armor Drive to perform bridge joint repairs. SR 13 Buford Hwy Connector NB, one inside (left) lane closure between Armor Drive and Lindbergh Drive to perform bridge joint repairs. Motorists can access real-time, statewide, route-specific information on accidents, road work, traffic and weather conditions through Georgia 511 – a free phone service. By dialing 511, callers also can transfer to operators to 24 hours a day to report incidents or request assistance. The system can be used to access transit providers, major airports, rideshare organizations, tourism information and 511 systems in surrounding states. Additionally, 511 is available online. 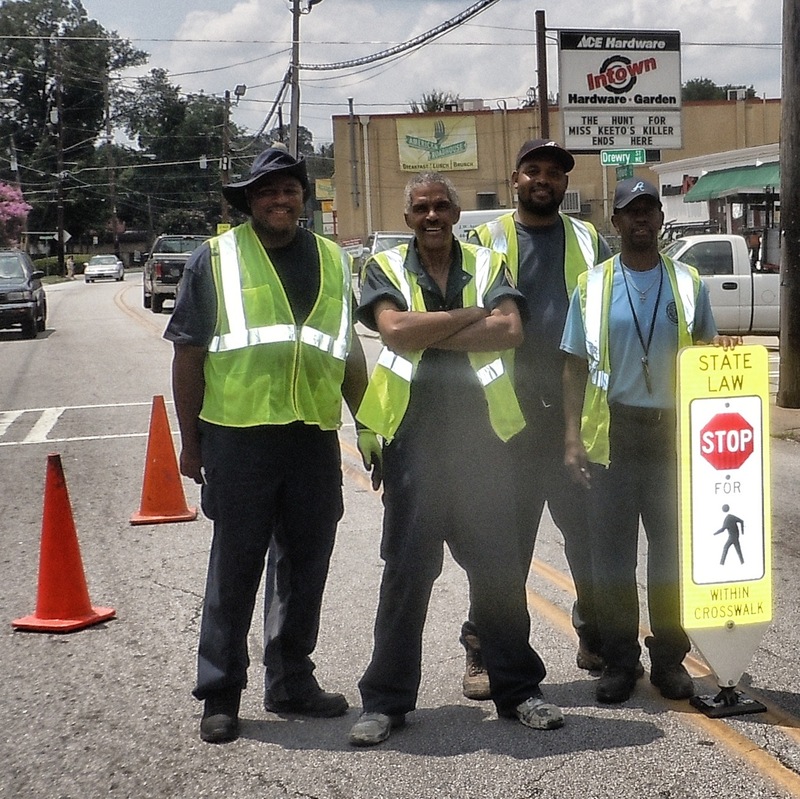 Georgia DOT partners with sponsors for assistance in funding 511, thereby preserving tax dollars and helping sustain critical services. For more information about 511, visit 511ga.org. For information on the Department of Transportation, visithttp://www.dot.ga.gov; you also may follow Georgia DOT on Facebook (http://www.facebook.com/GeorgiaDOT) and Twitter (http://twitter.com/gadeptoftrans). 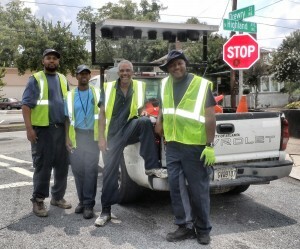 Georgia DOT provides funding and technical assistance to support construction and maintenance of the State’s harbors in Savannah and Brunswick, which contributes an annual economic value of $18.5 billion and supports more than 350,000 jobs. The Department is a local sponsor for the U.S. Army Corps of Engineers that constructs and maintains these harbors. VHCA Board President Jack White captured these rare images last week of a traffic tie-up – at Orme Park. Witnesses say a group of patrons was heading home from a busy day at the park when the lead vehicle apparently encountered an obstacle it couldn’t overcome. 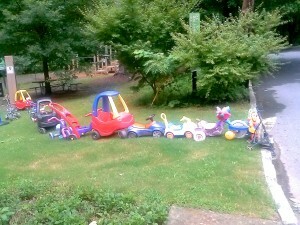 No word on the whereabouts of any of the drivers involved or why they abandoned their vehicles so quickly (although rumor has it nap time was a contributing factor). If you’re out and about in the ‘hood and capture an image you think speaks to life in VaHi – and you wouldn’t mind sharing it with your neighbors – send it to communications@vahi.org. Include a caption if you like. We’ll post the best ones for everyone to enjoy. You’ll want to plan your travel carefully the morning of March 17 as the Publix Georgia Full and Half Marathon races return to Virginia-Highland. Organizers expect over 16,000 runners to participate this year. 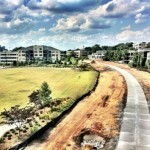 Both races will start and end in Centennial Olympic Park and all runners will pass through VaHi. Following is a list of full and partial road closures and the times you may want to avoid these areas. 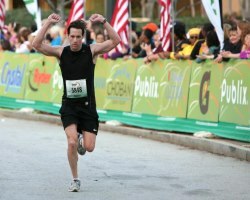 For more information on the Publix Full and Half Marathon races and the Luckie 5K race, click here. 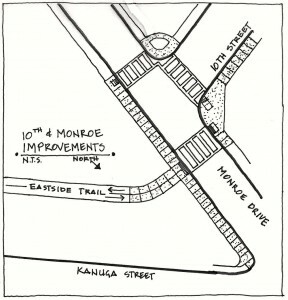 According to the beltline.org website, significant pedestrian safety improvements will be made soon at the intersection of 10th Street and Monroe Drive. 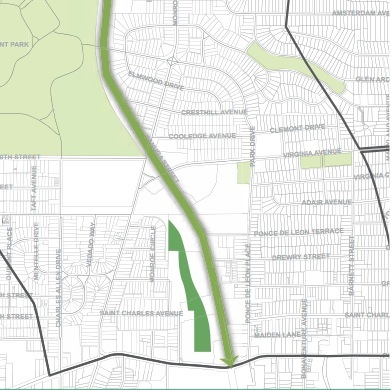 The improvements are designed to support the recent opening of the Eastside BeltLine trail which currently terminates a few feet from the east side of Monroe, just across from Park Tavern and Piedmont Park. The Susan G. Komen 3-Day for the Cure kicks off a 60-mile walk Friday that will start in Stone Mountain and, over the course of the weekend, take participants through Decatur, Virginia-Highland, Midtown, Candler Park and eventually to Turner Field. Walkers will pass through VaHi on Sunday morning and early afternoon. From 9:00 – 11:00 a.m. John Howell Park will be the site of an official cheering station where residents can gather as a group to support the walkers. We’ve received no notice of any road closures in connection with this event. 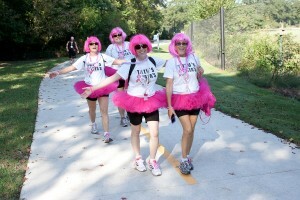 Click here to read a Patch article about the 3-day walk or here to visit the event’s website. 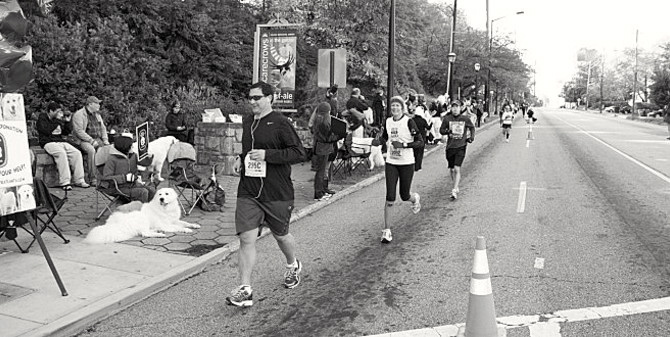 This year’s Atlanta Marathon and Marathon Relay will be held October 28 and the course will bring runners right through the heart of Virginia-Highland. 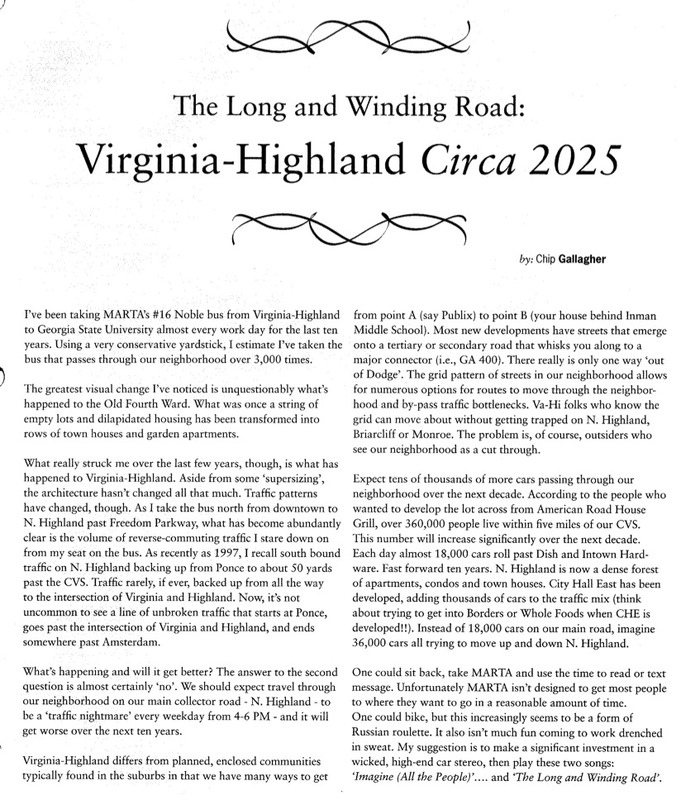 Mile 14 brings runners up N. Highland Avenue from Poncey-Highland where they will eventually turn left on Virginia Avenue. Runners will then turn right on Park Drive where Mile 15 continues on into Piedmont Park. 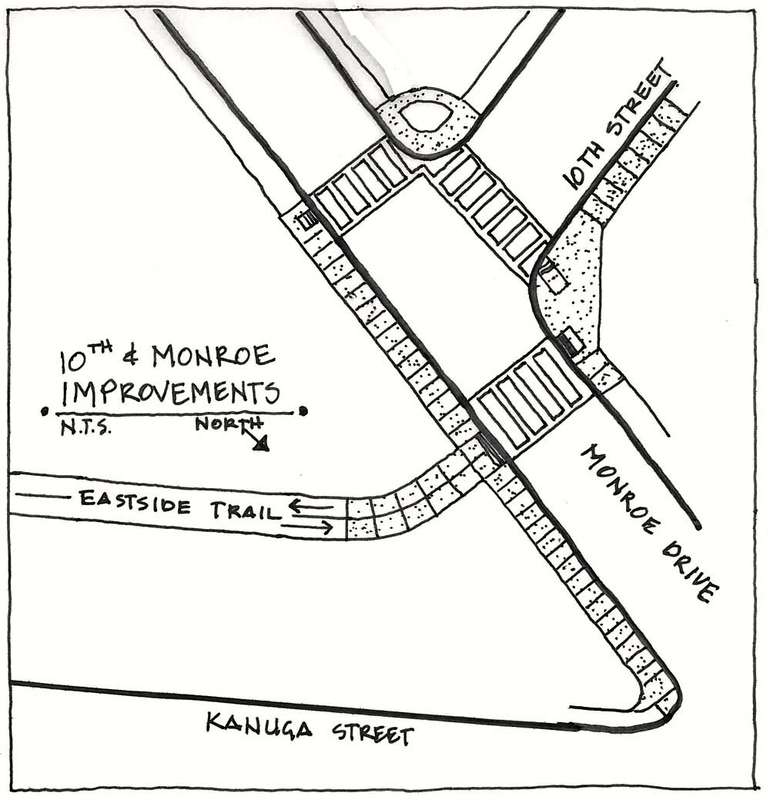 Click here to view the complete route map. Expect full or partial road closures. The right hand side only of northbound N. Highland Avenue will be closed from approx. 7:50 a.m. until approx. 10:45 a.m. The right hand side only of westbound Virginia Avenue will be closed from approx. 8:00 a.m. until approx. 10:50 a.m. All of Park Drive will be closed from approx. 8:05 a.m. until approx. 11:00 a.m. Click here for a complete list of road closures. 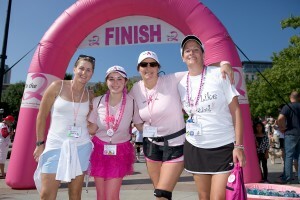 For more information on the Atlanta Marathon, visit http://atlantamarathon.org/marathon. 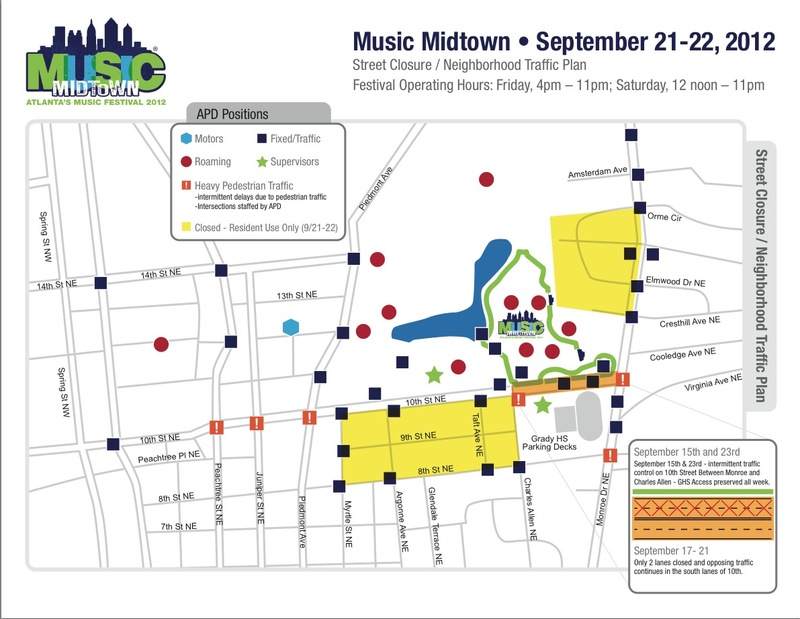 More information at the Music Midtown site. 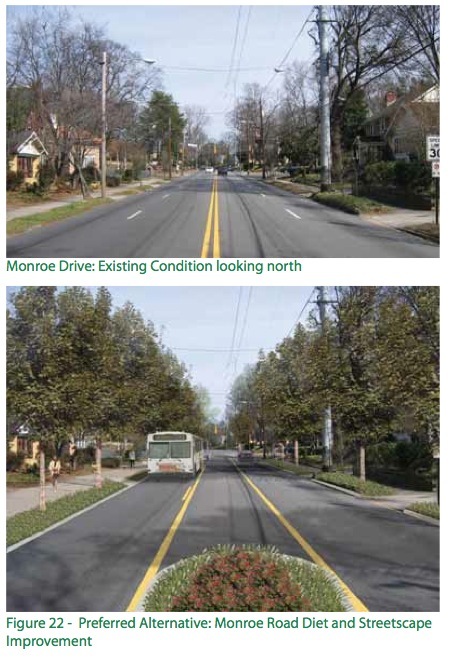 The organizers of Atlanta Streets Alive have approached the VHCA with a proposal to close N. Highland Ave. from 2-7 PM on Sunday, May 20th to promote their goal of “making Atlanta a more lively and connected city”. The flyer (click on the image to open) has more information. This event has been held several times over the last few years, most recently along Edgewood Avenue. It sounds like it has great potential as a community event, and we want to hear what you think. It will be discussed at the March meeting of the VHCA Board – Monday, 3/12/12, 7 PM, at the Library, 980 Ponce de Leon Ave. You are welcome to come, and you may also share your thoughts by writing us at safety@vahi.org. Just a word to the wise that both Zones 2 and 6 Commanders have vowed to be on the watch for speeders on our major north-south commuter routes on Briarcliff Road, Lanier Boulevard, Monroe Drive, North Highland Avenue and Barnett Street. Both of these commanders also ask you to note if speeding is abated on these routes – they need to know if their efforts are successful – so let me know, and I’ll pass reports on to Majors Browning and Meadows. 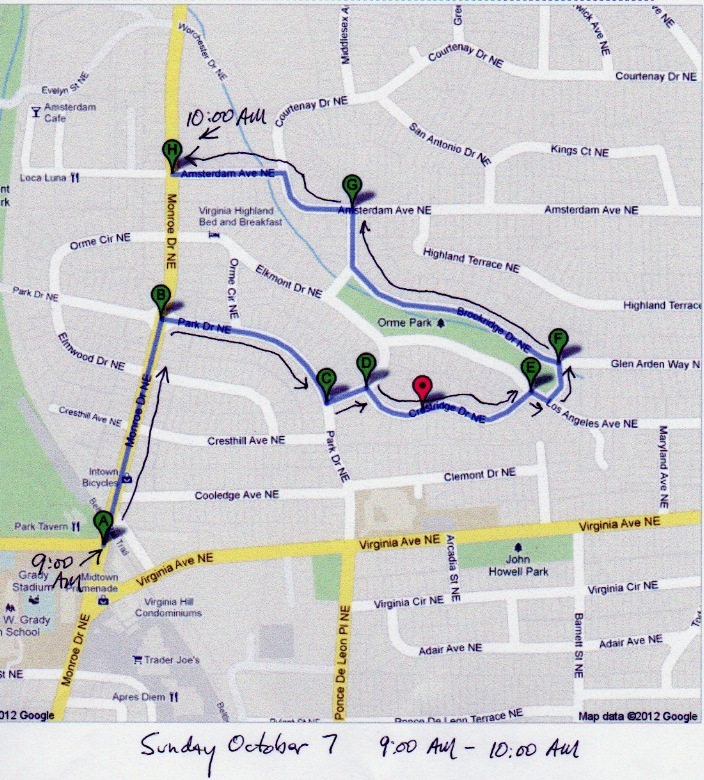 The Intown10 Race on 3/4/2012 news at – http://intownten.com/news/pics/map/ for times of street closings. The Publix Georgia Marathon on 3/18/2012 news at – http://georgiamarathon.com/road_closure.htm for times of street closings. 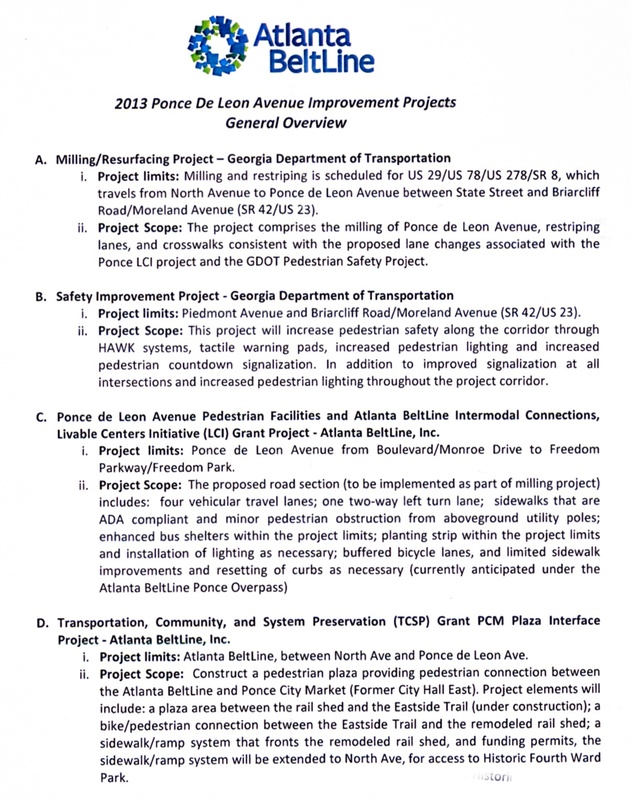 The proposed Streets Alive festival plans slated for 5/20/2012 will be presented and discussed at the next VaHi Civic Association meeting on 3/12/2012 at 7 at the PDL Avenue library. 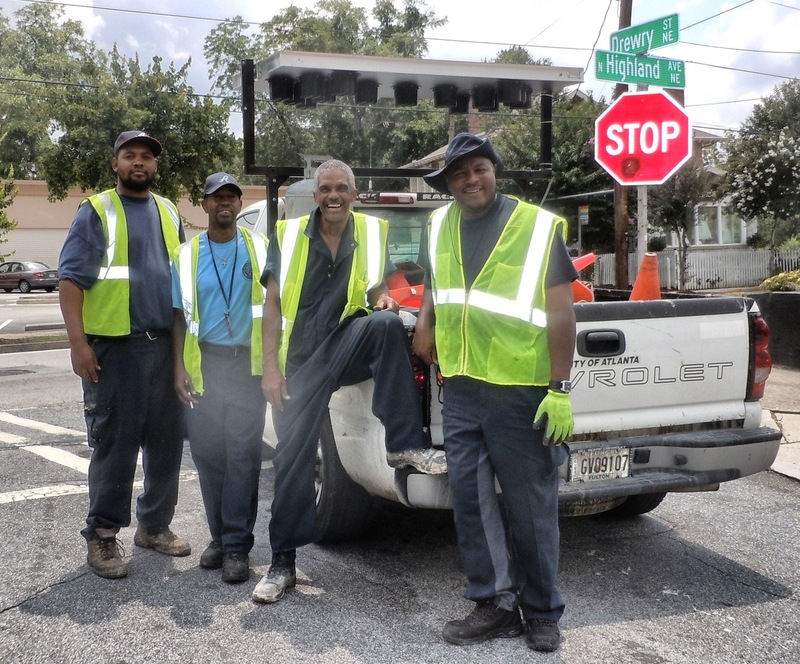 Let’s keep our streets safe for children and pedestrians! Aaron Gross, Public Safety Chair, has 48 “Slow Down Atlanta” signs on his porch for pick-up and use along the streets in Virginia-Highland. No tools or stapling are required to install the signs. Please feel free to stop by and pick one up for your street. 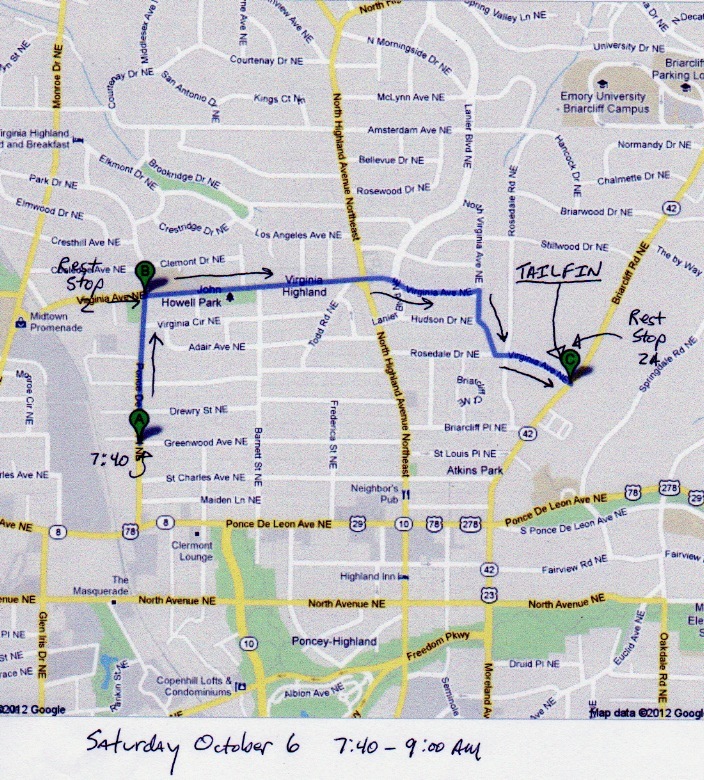 Aaron’s address is 1076 Rosedale Drive, just off North Highland Avenue.